Is your blog attached to a class blog? Will you be having the same teacher next year so they can help look after your blog? If you move on to a teacher who is not blogging, but you want to continue using your blog, then leave me a comment on this post and I will move you across to my students as bloggers blog. That way I can be moderating your posts and comments. I hope you have enjoyed blogging this year. I wonder how many will continue next year and how many new ones we might add to the list? Readers: What did you enjoy most about blogging this year? At level 9, this was my picture. Puzzle 12 and it is starting to look like a snowflake. Wow by puzzle 15, I have added circles. Puzzle 17, overlapping circles and changing colours. Nearly finished, I made 8 snowflake branches. Here is a link to the website where you can do lots of coding activities. Which coding activity did you do? An easy week this week in the challenge. It is time to visit some Tasmanian class blogs listed on my sidebar here. I suggest you check out 2/3 Moore, 4 BC and 4/5 Hortle – they also have student blogs attached to their blogs. Look for the heading Class Blogs. Read a post and leave a quality comment. Also check if you have been receiving any comments on your posts. Have you been replying to any questions that might be there? Your comments on your own blog will go straight through without a teacher moderating them so make sure they are good enough. Go to your blog home page. Click on the title of a blog post that has comments. Now you should be able to see the comments and whether you have replied. Click on the reply button if you want to add more to the conversation. You don’t have to reply to every comment. Some don’t need any answer from you. Keep going back to your home page to find the next post with comments. Go to your dashboard> comments> all comments You should now see all the comments left on any post of your blog. If there is a comment you want to leave an answer on then hover and click on reply underneath. Remember to click the big update button when finished that comment. The comment you have written will now be at the top of the list of comments. Using this method is more difficult if you have already left some comments on some posts. Comment: Did you find something interesting on the class blogs that gave you an idea for a post on your own blog? How have you been going with the challenge activities? Created your About Me page and post – if the page doesn’t appear along the navigation bar in your theme, you will need to add the pages widget to your sidebar. Some themes have widgets at the bottom others you have to click the three lines near the top of screen. Left some great comments on other student blogs – why not visit some mentioned on the sidebar of my blog here? Perhaps you could write a post telling me who you visited, the comment you left and why you chose that post to comment on. Complete the five activities above before starting on the next lot of activities in the student blogging challenge. These relate to the topic of school and will be published tomorrow (Sunday) During this week, I will be writing a How to post about using polls and surveys on your blog. This might be helpful for this week’s challenge activities. Remember to leave me a comment here telling me which activities you have finished so I can mark them off on the work completed spreadsheet. If yes then submit for review or publish. Next time you start a new post, you will need to make sure it is in Visual not Text – only use Text when embedding code. Check out the jigsaw puzzles and stories that need an ending from the students listed below. Visit 1 from each group and leave a comment. Remember to include the URL of your blog in the comment, so they can come and visit you as well. Hope you all enjoyed your two week holidays. While you have been swimming or fishing or visiting relatives, the student blogging challenge has been happening. Week 2 was to watch a video about commenting and to leave a comment on the challenge post explaining what you learned or what other activities you completed from the challenge. An extra activity was to add a visitor widget to your blog. All these activities are also mentioned in the Work Completed page above the header. Make sure you have read any comments you have received and answer these comments. I know some students have had mentors leave comments already. Once all this is done, then have a look at Week 3 of the challenge. This is a fun two weeks where you get to do things with images and videos. As the blogging challenge starts Sunday next week when you are on holidays, you might want to get your blog ready. Have you registered for the challenge? Have you added the challenge badge to your sidebar? Look at last week’s post. Have you written a great post about yourself and your interests? Have you checked who the other students are who have similar interests to you? Dashboard> settings> compfight – change small setting to 240 on longest side. Save. Dashboard> settings> general> time zone – choose Hobart or Launceston. Save. Dashboard> appearance> widgets> drag across class blogs to your sidebar – if there are more than 10 students with personal blogs attached to your class blog, then you might need to make some changes to number of blogs. You might want to have the blogs alphabetical rather than random. You might want to include blog avatar as well as title of blog. If you are not joining the challenge, you still need to do the settings and widget mentioned above. You should also be writing posts that are of interest to you. October through December, I run a student blogging challenge. There are often over 2000 students from about 20 countries of the world taking part. Each week I write a post with activities for students and classes to choose from. 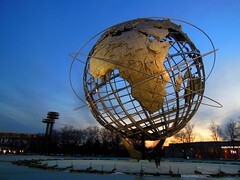 So this week there are two things to do if you want to join the challenge and connect with other children around the world that are your age and have the same interests. If you don’t want to join then go down the post to “Still got time for more work this week” and go on with activities from there. I want to join the challenge, Miss W! First you need to fill in a form to register for the challenge. Here is a link to the post where the form is. Read the information at the top of the post then fill in the form. If you make a mistake with your URL don’t worry as I will be able to change it. Now your screen will be back to your widget area and you only have two more things to do. When you next open your blog, your badge should be there ready to click on for the activities starting on 1st October. Have you written an interesting post of your own choice? Have you finished work from last few weeks? Are you visiting the other student bloggers and posters on my sidebar? Are you leaving me a comment each couple of weeks telling me which work you have completed so I know what to mark off? Have you completed the following things from the last three weeks? If you have finished this work, you are doing well. What could you go on with? Has anyone left a comment on your blog yet? You might need to reply to them. Leave me a comment on this post telling me what you have finished in the list of 9 activities. Next week we will start to get ready for the student blogging challenge. What was the hardest part about adding an image to your blog post? Why do you think it is important to add an image of some sort? What makes a great comment? Here is a video made by a group of grade 3 students in Mrs Yollis’s class in California, USA. There is a link to her special photograph blog on the sidebar under global classes. Now you have finished watching the video, I want you to visit at least three student blogs on the sidebar and also one of the student posters blogs. But you will need to be prepared first. 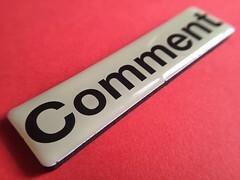 You should now have a great post about commenting. You have two weeks to get this post done. If you finish early then check the Work Completed to see what else you can do.